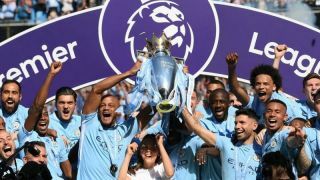 Manchester City look to be in hot water with Uefa as they reportedly face both a potential transfer embargo and ban from next season’s Champions League. According to the Telegraph, Uefa do not view just a transfer ban as enough of a punishment for recent allegations to come out of the Football Leaks revelations. This could be huge for City, who genuinely look like one of the main contenders to win the Champions League this season after becoming one of the slickest football teams on the planet under Pep Guardiola. However, this would seriously hit their progression as players may not want to stick around if they cannot compete in Europe’s biggest club competition, while a transfer ban would leave them unable to sign replacements. Still, it’s an important message that no one is above the rules, with the club set to find out the results of an inquiry into whether or not they broke Financial Fair Play rules. The Telegraph cite a report from German outlet Der Spiegel last month stating that City breached FFP rules by as much as £167million in 2014.